One of my passions is to help churches be welcoming and safe places for families with disabilities. 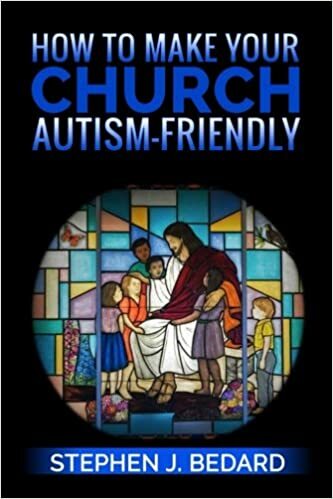 I come at this both as a pastor and as a father of two children with autism. My impression is that churches feel as if becoming disability-friendly is a difficult goal. The truth is that there are some simple things that can be done that can make a difference. 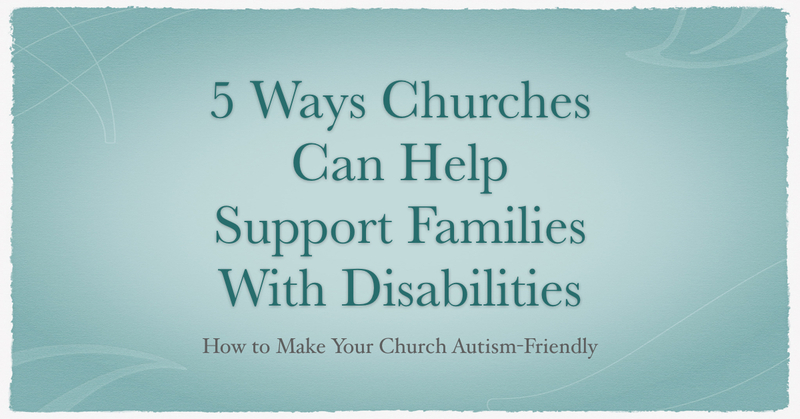 Here are five ways that churches can support families with disabilities. The first step is just to acknowledge and sympathize with the fact that it is always easier for the family not to come to church. Any family with children will find challenges getting everyone together. 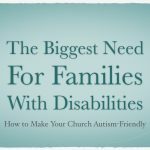 For families with disabilities, there may be both practical and emotional obstacles to church attendance. Families with disabilities may need more than a simple invitation. One of the most important things is for people to not give dirty looks if someone with a disability makes noise during a worship service. The family is usually hyper-sensitive to these noises already and a nasty look from another person can be very destructive. Treat everyone in the family with respect and dignity. Talk directly to the person with the disability and not just the caregiver or family member. Take the time to find out what the family needs. Many families are looking for respite. Others might need help getting some chores done around the house. 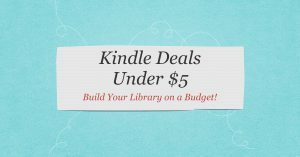 There may be significant financial needs as well. In our case, our church helped us raise money for our service dog. Don’t assume what they need, actually have the conversation. Become a student. This can be by spending time with families and listening to their story. 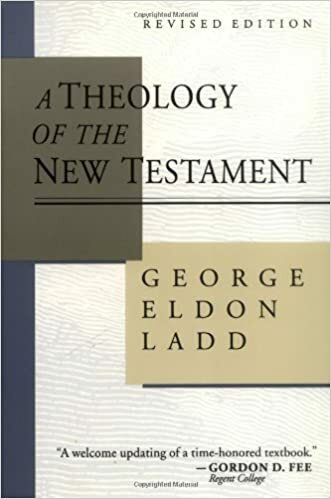 It could be reading books on disabilities in general and the intersection with faith in particular. 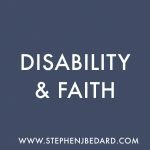 Read about what the Bible says about disabilities. Families don’t expect you to be a professional but they will recognize and appreciate a teachable spirit. Bonus Idea: Try to include families with disabilities into the life of the church. We often found that people assumed we were too busy or too exhausted to be included. Living with disabilities can be quite isolating. Be proactive in embracing families. 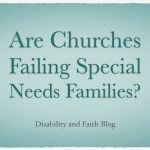 Are Churches Failing Special Needs Families?